That’s a statement which might sound hyperbolic or downright untrue, but it’s accurate; the invention of information shared in the form of photographic images altered the course of things. Prior to the 19th century, history was recorded in writing or by drawing, painting, or sculpture. Though that served as an adequate means of remembering events and people, photography changed the way everything was viewed. Since the earliest surviving photographs from the 1820s, the world has been forced to take notice of real images of real events. Far away happenings all of the sudden became realistic and humanized, allowing people to see exactly what was happening at any given moment. Some of the most important moments in recent history were captured by camera, changing the way people received and reacted to news. Those images were the first to show the common citizen exactly what war looked like, including the deadly repercussions. It is estimated that more than one million portrait images were produced during the war, along with the more widely distributed “carte de visite” images. Not only did it provide portraits to family members, it sparked true photojournalism. 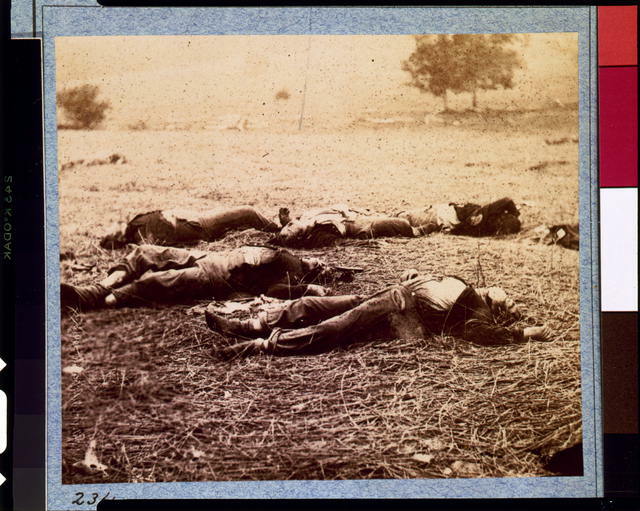 Images of fighting and of the battlefields filled with bodies were the first real examples of how gruesome war could be. One of the most famous photographs in American history came during the Depression in the 1930s. The Resettlement Administration, a New Deal program started under Franklin D. Roosevelt, was created to relocate thousands of struggling families into government owned developments. Dorothea Lange was hired by the administration to photograph conditions during the Depression. Arguably her most famous image, “Migrant Mother”, depicts the harsh realities of a struggling rural family in California. 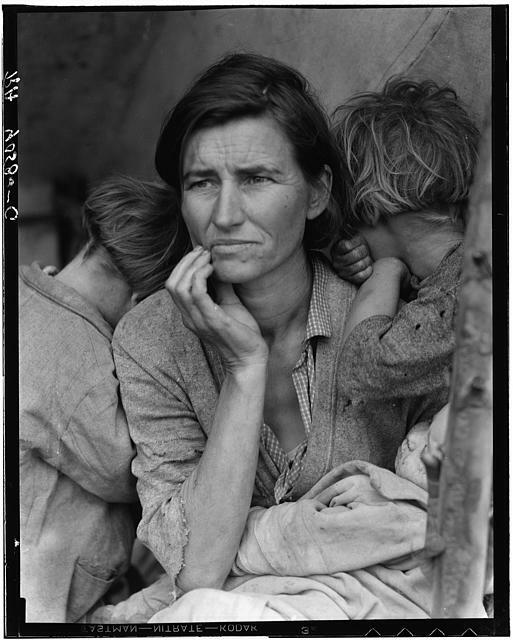 The image became the face of the Depression for many, and helped urge programs to hurry supplies to the struggling farm communities all over the country. Want to capture authentic emotion in portraits? Tune in now to learn how from renowned photography journalist Stacy Pearsall. In a 1960 interview, Lange described the experience of taking the photo. “General Nguyen Ngoc Loan executing a Viet Cong prisoner in Saigon” is a Pulitzer Prize winning photograph which, upon publication, almost immediately changed the outlook on the Vietnam War. The image was traumatic, but the context was missing; the man being shot was believed to be the leader of a militant group that had killed unarmed civilians. The photo, though, brought the brutality of the war back home. The general public’s opinion changed over the course of the Vietnam war, partly thanks to the photographic documentation of what was truly happening. Another one of the most well-known photographs of the 20th century, “Tank Man” shows the struggle between power and oppression. Five different photographers caught the image, though it wasStuart Franklin’s which circulated worldwide on television and through newspapers and magazines. Franklin, in a moment of quick-thinking, smuggled the film out of the country in a box of tea. Though nobody knows the Tank Man’s true identity, it still shows just how important one man can be when protesting. The images from the Tiananmen Square protests sparked serious interest in China, and had a huge impact on world events at the time. 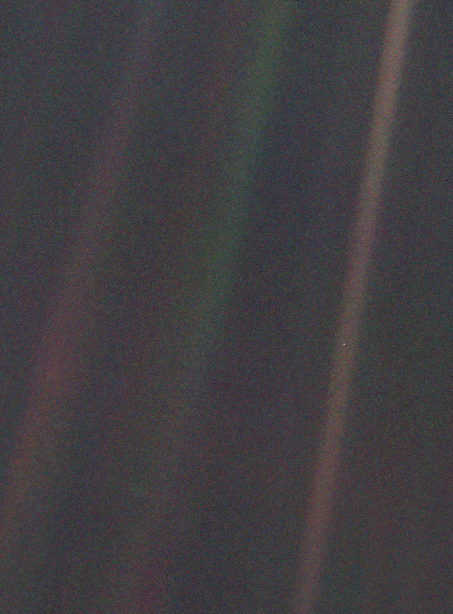 Pale Blue Dot still remains the furthest image taken of Earth. From a distance of 3.7 billion miles, Voyager 1 was commanded to take a picture of Earth as it left the Solar System. What resulted was one of the most remarkable images ever taken. Through a few noticeable beams of light casting across the image, the barely visible dot that is Earth stands alone in pure darkness. This, along with the first image of Earth captured by Apollo 11, stand out as two of the most influential pictures in the astronomy world. Though much of human history was recorded prior to the camera, photography still proved to be incredibly invaluable. For many, seeing actual shots of real events changed the way people viewed the world. War became real, and was no longer viewed as glorious. Social events were permanently captured from new perspectives, showing true emotion and courage no matter what the situation was. Photography provided the world with a new way to exist and see life. The whole world started to become accessible, and offered humans a connection to one another that previously had not existed.